1.MSRM US302 Universal WiFi Range Extender boosts your existing WiFi network to further distance which you cannot reach before. Plug it into an electrical outlet and give your WiFi a boost. Dual external antennas make your new WiFi network faster and more stable than ever before. 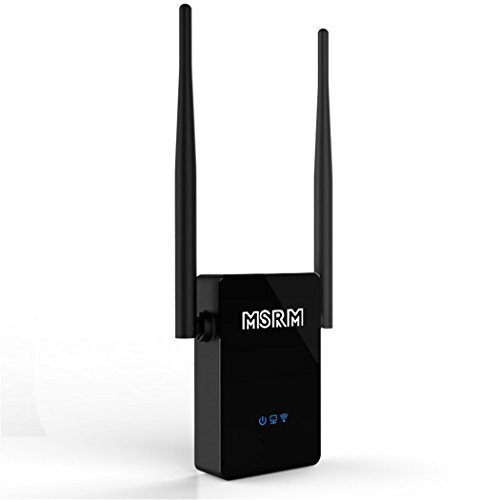 2.Users can use this device to extend the wireless network distance,can make more wireless devices to access the Internet,more convenient to provide Wi-Fi iPhone and iPad, iPod players, notebook computers, smart phones, game consoles and TV Peer wireless terminal. A key repeat function, simple and convenient, low power,it is more effectively to meet the user's wireless Internet access demand. If you have any questions about this product by Iris1228, contact us by completing and submitting the form below. If you are looking for a specif part number, please include it with your message.